In response to yesterday’s article which detailed how it is a good idea to monitor George Soros’ money movements, because they are predictive of future economic collapses as they have been so many times before. We should all be more a little more than nervous when Soros, in the first quarter of 2014, removed his money from three megabanks. “Ok, the idea of removing your money from the bank for me is a joke! I have a substantial amount in 3 different accounts. It’s VERY difficult to remove more than $8,000 or $9,000 at a time without extreme scrutiny from the IRS and the DEA. Plus, the banks will tell you that frequently they don’t have enough on hand to give you even $8,000. If you close your account, guess what? They give you a check, NOT cash! So you have to go to another bank WITH A CHECK once more! So, how does one remove their money from the bank without causing major transaction reports to be filed with the government about your banking activities???? At first glance, Rick appears to be correct. The odds are stacked against all average depositors. With all that is available to read on this topic, it is mind boggling regarding how few people are preparing to act to preserve what assets they have remaining by not removing their money from the bank. Because you have put your money in the bank, you no longer own your money. The courts have ruled that once you deposit your money in the bank, the bank owns your money. You virtually are paid no interest for the hard earned money that you place in the bank. And if inflation is only at a modest 5% rate, your hundred thousand dollars is worth only $95,000 after one year. In a decade, your real buying power is reduced by about 50%. And where did the other 50% go? Because of fractional reserve banking, the biggest money scam in history, the banks can take $10,000 and turn it into at least $90,000 by doing absolutely nothing but adding some zeroes after your name, on a computer screen, and then loaning out the money, at interest, while you are paid a minuscule interest rate. This practice adds to the inflation rate and further erodes your savings. All of the above, dictates that we should all take our money out of the bank. Why do I risk starting a run on my former and biggest holder of my money, Bank of America, by withdrawing my money and presuming that many fellow depositors will read this and rush to withdraw their money too? The very biggest reason to is because they pay me near zero interest. Also, even if there is an infinitesimal chance Bank of America will not repay me in full, whenever I ask, it switches the cost-benefit conclusion from stay to flee. The biggest reason to take your money out of the bank is because it has absolutely no protection. The FDIC has only about $25 billion in its deposit insurance fund, which is mandated by law to keep a balance equivalent to only 1.15% of insured deposits. If a banking collapse were to be on the near horizon, the banksters are not going to notify you because they would not want to incite a bank run. With only 1.15% of all deposits being insured by the FDIC, your money would be left vulnerable and only the elite would be warned as they quietly transfer their money to a safer haven. How do I know this? Because this is exactly what my research discovered on the money movements preceding the Gulf oil spill, as it was revealed that on the morning of the explosion, Goldman Sachs issued a “put option for preferred insiders” in Transocean (the owner of the Deep Water Horizon oil rig) and the elite had their stock profit margin guaranteed while everyone else took a financial bath! This is the undeniable pattern of the global elite. Additionally, your bank account has been collateralized against the derivatives debt. With the bankruptcy reform laws stemming from the Bankruptcy Reform Act of 2005, derivatives counter-parties are given preference over all other creditors and customers of the bankrupt financial institution, including FDIC insured depositors. This gives what the experts call “super priority” in terms of the line of succession from which to collect bankruptcy monies. Bank of America has conspicuously co-mingled their derivatives debt with your savings account and as such they have every legal right use your money to cover their debt. Oh, they would never do that you say? I have bad news for the uninformed, they already have done that very thing. In the MF Global debacle, the reason that MF Global customers lost their segregated account funds was because the MF Global debt load was caused primarily because of their derivatives debt which, under bankruptcy laws, gave derivatives claimants super-priority in the bankruptcy proceedings. In short, you do not matter. Taking what was your money out of the bank is no longer a matter of walking up to your friendly teller with a withdrawal slip and the teller cheerfully honors your request and you calmly exit the bank with your money in tow. In fact, your teller is trained to look for certain indicators in any cash withdrawal of any significance. As you move to withdraw the bulk of your money, there are three federal banking laws that you should be cognizant of, namely, Cash Transaction Report (CTR), a Suspicious Activity Report (SAR) and structuring. Before proceeding with the planed withdrawal of your money, I would strongly suggest that you read the following federal guidelines as it relates to CTR’s as produced by the The Financial Crimes Enforcement Network (FinCEN). All the federal regulations contained in this article are elucidated in this series of federal reports. Before withdrawing your money, there are three regulations to be concerned with. Federal law requires that the bank file a report based upon any withdrawal or deposit of $10,000 or more on any single given day. The law was designed to put a damper on money laundering, sophisticated counterfeiting and other federal crimes. To remain in compliance with the law, financial institutions must obtain personal identification, information about the transaction and the social security number of the person conducting the transaction. Technically, there is no federal law prohibiting the use of large amounts of cash. However, a CTR must be filed in ALL cases of cash transaction regardless of the reason underlying the transaction. This means your cash transaction will be on the radar. 1. Barry S. has obtained $15,000 in cash he obtained from selling his truck. He knows that if he deposits $15,000 in cash, his financial institution will be required to file a CTR. Instead he deposits $7,500 in cash in the morning with one financial institution employee and comes back to the financial institution later in the day to another employee to deposit the remaining $7,500, hoping to evade the CTR reporting requirement. Barry should have used multiple accounts to conduct this transaction. 2. Hillary C. needs $16,000 in cash to pay for supplies for her arts and crafts business. Hillary cashes an $8,000 personal check at a financial institution on a Monday. She subsequently cashes another $8,000 personal check at the bank the following day. Hillary is careful to have cashed the two checks on different days and structured the transactions in an attempt to evade the CTR reporting requirement. Hillary should have made irregular deposits on staggered days. 3. A married couple, Bill and Hillary, sell a vehicle for $12,000 in cash. To evade the CTR reporting requirement, Bill and Hillary structure their transactions using different accounts. Bill deposits $8,000 of that money into his and Hillary’s joint account in the morning. Later that day, Hillary deposits $1,500 into the joint account, then $2,500 into her sister’s account, which is later transferred to Bill and Hillary’s joint account at the same bank. Again, Bill and Hillary should have used multiple banks. The aggregate total of the three transactions totals more than the $10,000 threshold, therefore, a SAR would be filed by the bank and you would be the subject of a federal investigation as all three of the above cases clearly violate the federal banking laws related to structuring. It is a federal crime to break up transactions into smaller amounts for the purpose of evading the CTR reporting requirement. In these instances, the bank is required to file a SAR which serves to notify the federal government of an individual’s attempt to structure deposits or withdrawals by circumventing the $10,000 reporting requirement. Structuring transactions to prevent a CTR from being reported can result in imprisonment for not more than five years and/or a fine of up to $250,000. If structuring involves more than $100,000 in a twelve month period or is performed while violating another law of the federal government, the penalty is doubled. Much like the enforcement of our tax laws, the federal government’s enforcement of its banking laws as it relates to CTR’s, SAR’s and subsequent structuring is quite draconian. Civilian asset forfeiture laws come into play. The government can seize your bank accounts while it determines if a crime has been committed. The government can literally seize your assets in perpetuity without an order of the court. Of course, you could try and sue but you will be up against the deep pockets of the federal government and the case could take years. By the time your case is decided, the financial banking crisis that you are so desperately trying to avoid by withdrawing your money, could be over. So, proceed with caution. If you ever become the target of a federal investigation, do not, under any circumstances, allow yourself to be interviewed by federal officials without an attorney present. In many cases, people go to jail and pay huge fines, not because they have committed a federal crime, but because federal officials state that they have lied or misled them. And if you do not have an attorney present, it is your word versus the federal government. This is how the federal government sent Martha Stewart to prison. The best way to avoid getting your money caught in the bank in the midst of a bank run would be to not let the lion’s share of your money ever cross the bank. Do not allow your employer to direct deposit your check to the bank. Keep some cash at home by taking out a large portion of the money you receive from your employer. Don’t put cash in a safety box because the courts have also ruled that the banks own your safety boxes. Open multiple banking accounts ranging from the big five megabanks to your local credit unions. You could withdraw much smaller amounts until the sum total of your accounts is greatly diminished and is in your possession. To open the accounts, simply write a personal check from your home bank. Of course, in these cases, the bank could hold the check for 15-30 days. Use checks and cash to pay all of your debts. Prepay your taxes and some other obligations with checks. Make sure you only pay safe entities. Your local government is not going to disappear, even in a depression. Therefore, you can prepay property taxes. Find a safer bank than the mega banks. Use credit unions as they are one level removed from the Federal Reserve. Please add to the list with your comments. I predict the Federal Reserve will steal your money by faking a cyber attack. In fact, last year, FEMA and DHS actually practiced for this event on October 23rd and 24th of last year. To people like “Rick” you probably will not be able to save everything, but rest assured, you can still save something to live on. The time to have acted was yesterday. I can anticipate what some of you are now thinking, because I have thought the same thing! 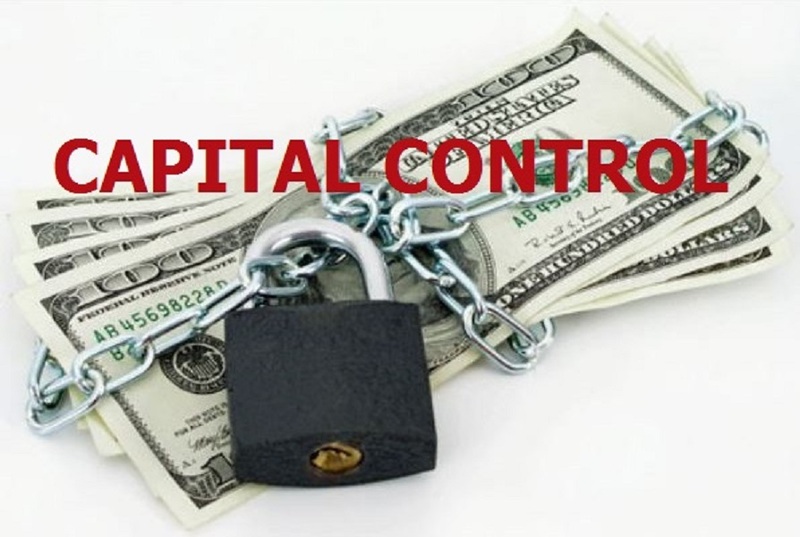 If all of us attempt to take even just a portion out of the bank, the Federal Reserve and their servant, the federal government, will move to stop all cash withdrawals. Won’t that kind of move serve to expose the criminality of the Federal Reserve and the federal government for all to see? Awareness is the first step to action and we have the ability to force several issues out on the open at this time.